Sangpoi Village is a remote village in the Karnal District, Haryana State in northern India. Farming is how most live and life is very hard for them. There is a small Christian church established in the village and the local Hindu people support the Christians here. They do not persecute them as is so often the case in northern India where persecution of Christians is often violent. This village is extremely poor. They do not have a clean water source. There is a very large pond, but it is very polluted and not suitable for drinking. It is used for all other household needs such as laundry and bathing. Skin disease and fever are common. For drinking water, the villagers must walk long distances two to four miles and carry the water or buy it which is very expensive for them. Sitara Village is a similarly sized village (both about 3,000 inhabitants) in same district and state as Sangpoi Village. Sitara Village has a mix of Hindu, Muslim, and Sikhs residents. It is a poor village where people work as laborers in fields. There is only a primary school. If a child is to receive further education they travel long distances and, therefore, many do not receive a higher education. There is neither a hospital or good medical clinic nearby. 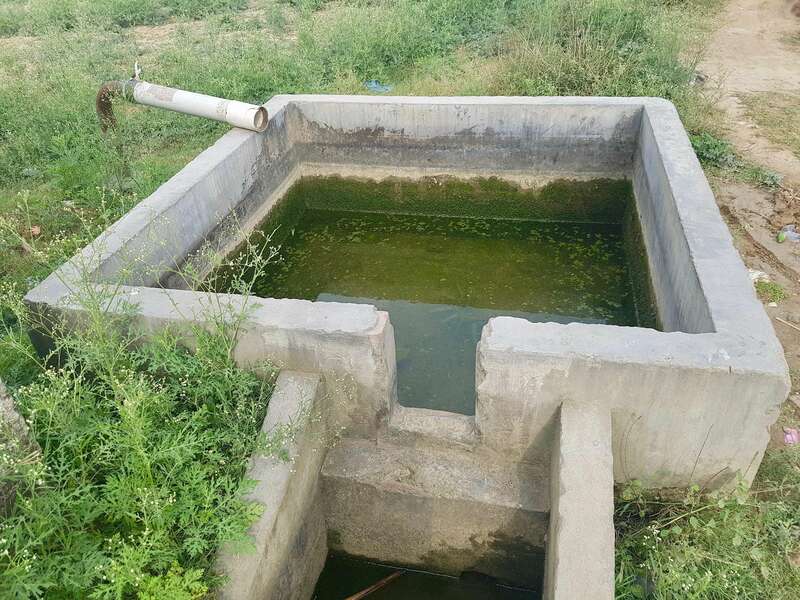 At one time, a bore well was drilled by the Sikh community, but it is now dry. 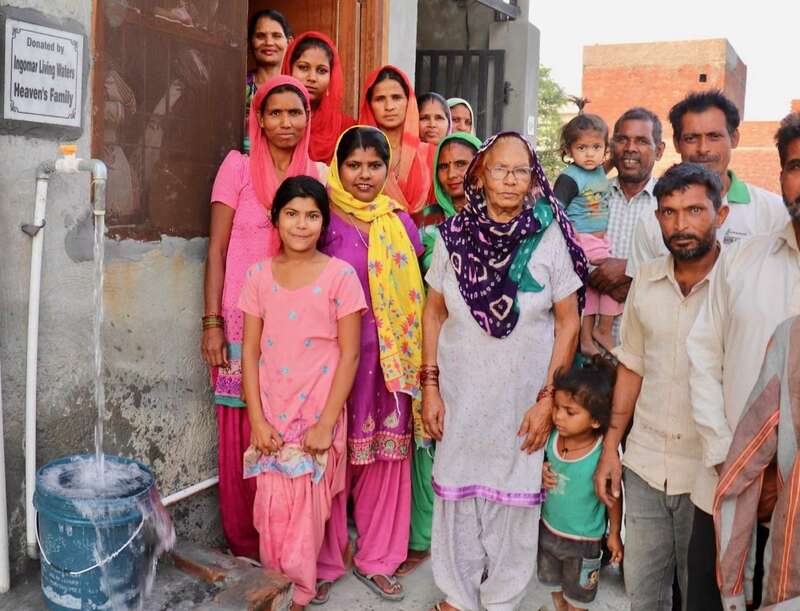 There has been no drinking water in this village for three years. The villagers tried to repair the well, but it was not successful. Women and children go for water, walking two to three miles or using carts or bicycles. 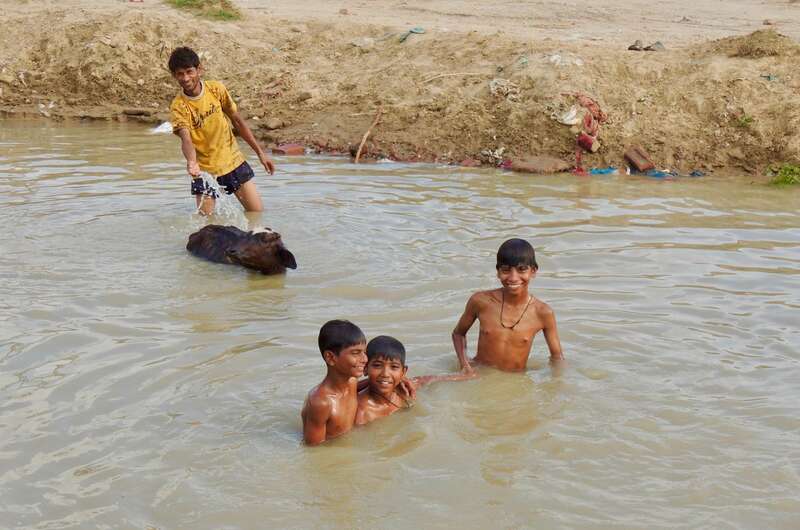 Water borne disease is common, including skin diseases, cholera, Dengue fever and viral fever. Sangpoi Village is a rural village in Karnal region in Haryana state, North India with a population of approximately 3,000 villagers. 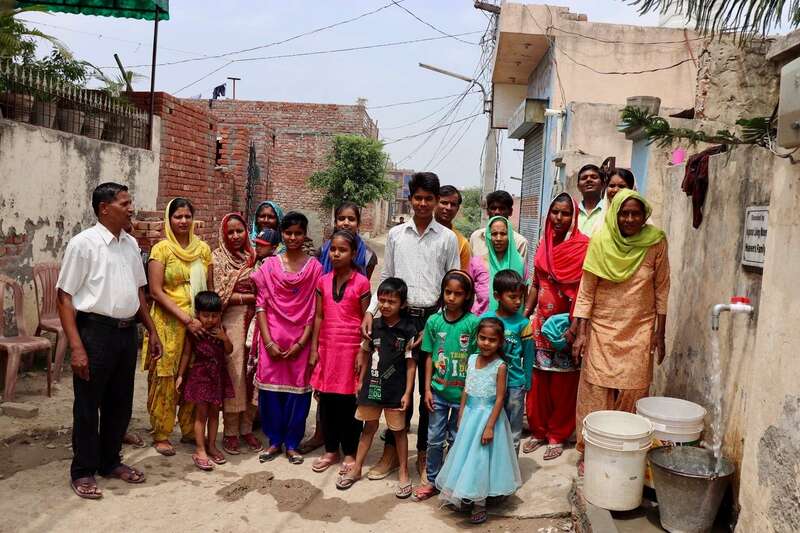 It is a very poor village with many slum neighborhoods and no proper sewage system. The people work outside of the village as laborers. Fetching drinking water was a 2-4 mile walk carrying water in cans. The water source was a large, filthy pond unsuitable for drinking which also was shared with the animals. Many suffered with skin diseases and fever. Life was hard for them. They desperately needed a well for safe drinking water. Now, thanks to your generous gift the deep well has been drilled and the water is flowing strong, clean and pure! At the dedication of the well the children were so happy and they were drinking, playing and celebrating by splashing around the well. Here are some testimonies about the well from Sangpoi Village. Thanks to your gift so many lives have been changed in so many ways! Musthafa – My name is Musthafa and I am from a Muslim community. I have my wife and four children in home. Because of an accident I lost my hand. 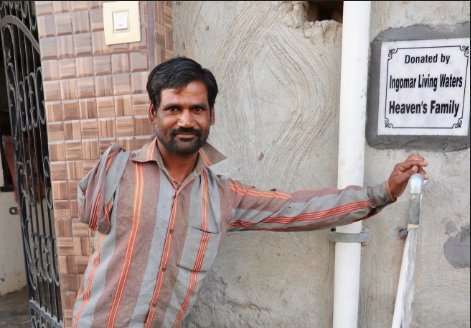 I work as a labourer and tried to work my one hand. My wife is not well and she is sick very often. Water is our biggest need and I was suffering to carry water with one hand from another village. My children are small and I do not have any other option. 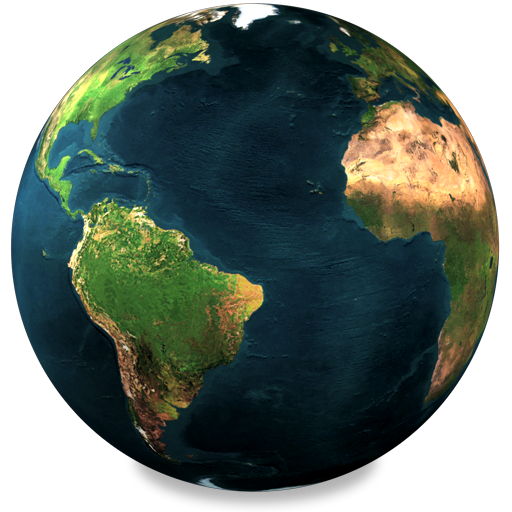 Today I am so thankful to you for making this well here. This is just near my house. Now I do not have any tension. Even my little children can come and carry water from this tap. Thank you so much. 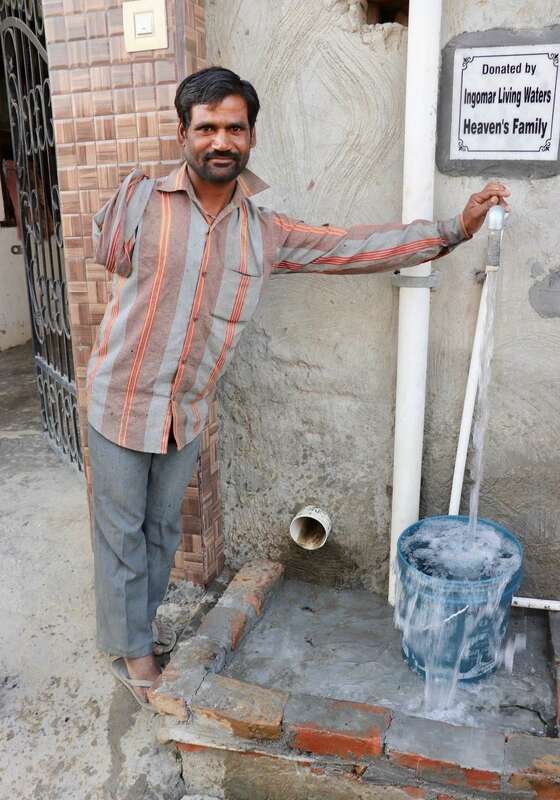 Gajendra – Our village is happy today that we got the water. This water is so good and I tasted it now. The interesting thing is anyone can come and carry water from this tap any time. I lost my animals because we did not have water. Now I will buy one buffalo and I can look after it. Also we can start some cultivation. Thank you. Renu – I am Renu and so happy day for me. I am daughter in law to this village. Our family here is a joint family. My in laws and other family members are staying together in the house. We cook food together. It was my duty every day to carry drinking water from other village for every members of the family. That was a big job and I am tired of carrying water in the shoulder or in the head. But today is my day. I am relieved and I can carry any amount of water from this pipe. This water is very good. We never have this much good water just because it is coming from very deep. 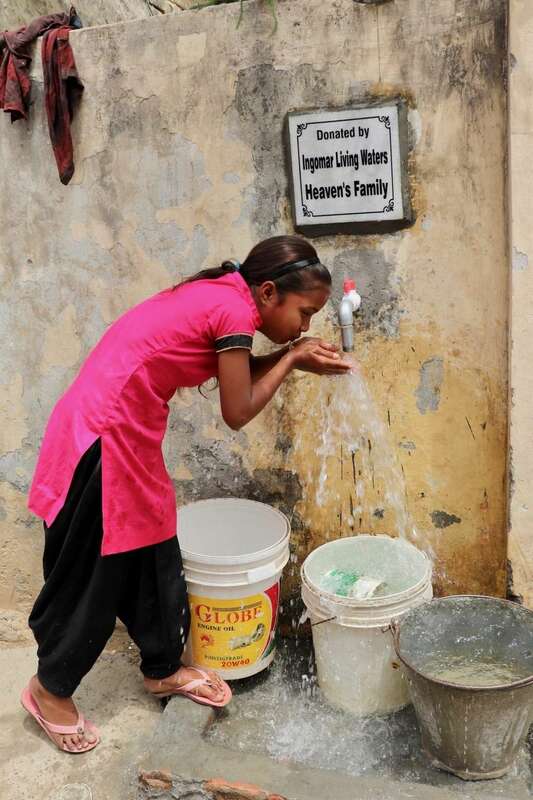 Sayam – I never carry water in the school as we did not have water. Now I will ask my father to buy me a water bottle. Every day I can carry water to school now. 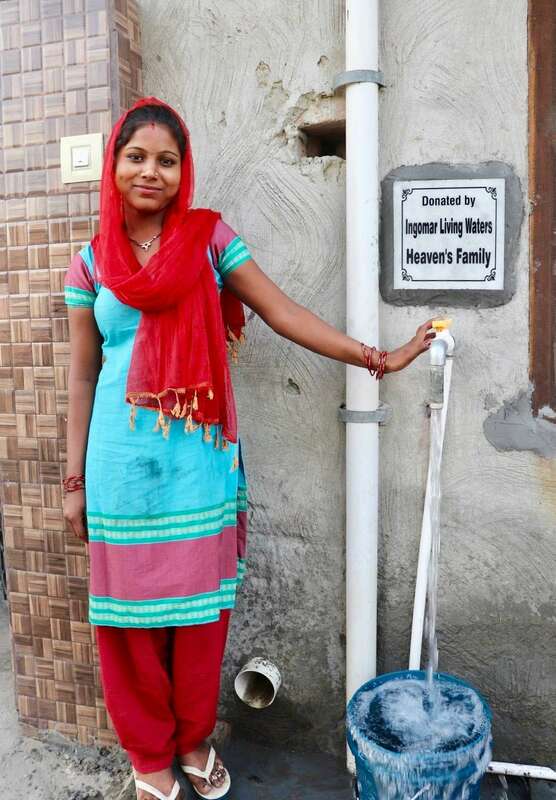 Gauri – Other villagers were not liking us because we did not have our own water resources. Some other villagers did not like to marry from someone from our village because we did not have water. I had 2 buffalos earlier by which I was living by selling the milk. But I lost them as we did not have water here. Now I am so happy, not only me all the mothers in this village because of this bore well. This is the deep well and water is so good. Thank you so much. The village church says in deep gratitude, “Our prayers are heard and our big need is met by our Lord through you.” Thanks to you, World Changers! Sitara Village is a rural village in Karnal region in Haryana state, North India. 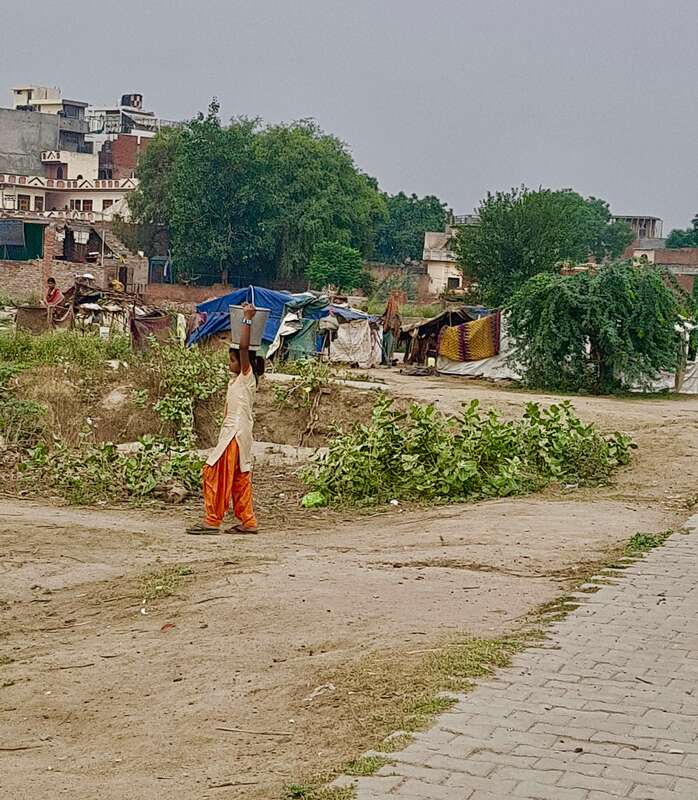 It is a very poor village where people work as laborers in the fields. There is only a primary school in the village and children must walk a long distance to receive a high school education. 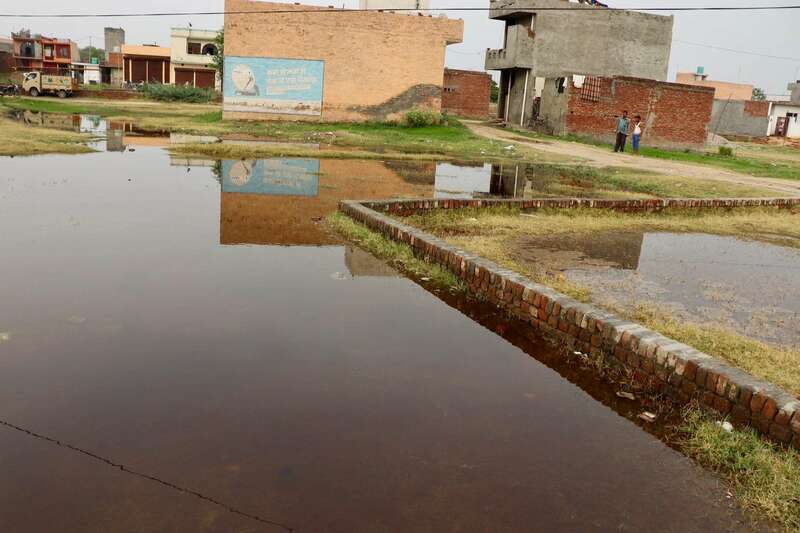 There is neither a medical clinic nor a hospital in this village. And (before you agreed to fund this well), there was no clean water source in the village. 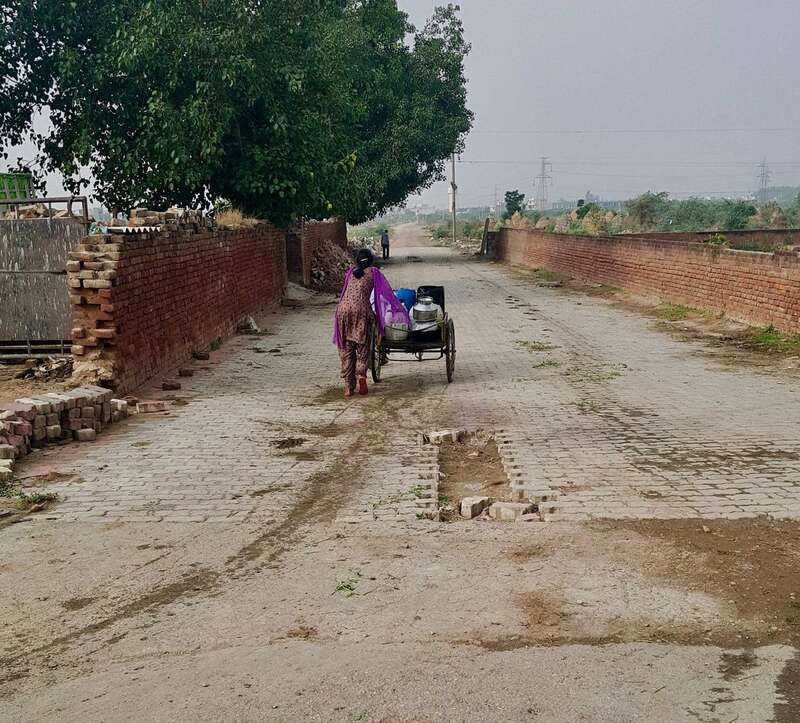 In this area where Hinduism is the primary religion, our ministry partners have started a Christian church which is attended by about 35 people. It is vibrant church which engages in various ministries such as literacy, education, tailoring vocation, and discipleship. But, some of the members were being persecuted by their unbelieving family members for following Jesus. They were really praying for a bore-well and most of them were suffering because there was no water in this village. You are World Changers! You have been the answer to their prayers! The deep well is now complete and the water is clean and pure. There is more great news — the well is not only changing the health and the lives of the people of Sitara, it is changing hearts. 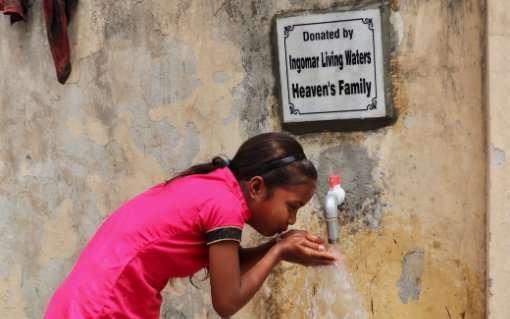 [Christians are commonly denied water in very strong Hindu areas like this part of India.] 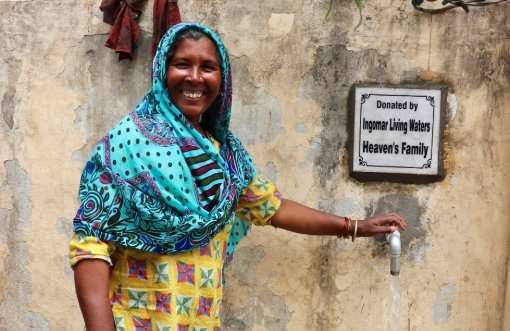 The members of this village church are becoming friends with their Hindu neighbors because of this well, where the water is free to all. Sohail tells us about how the hearts of his family are softening. 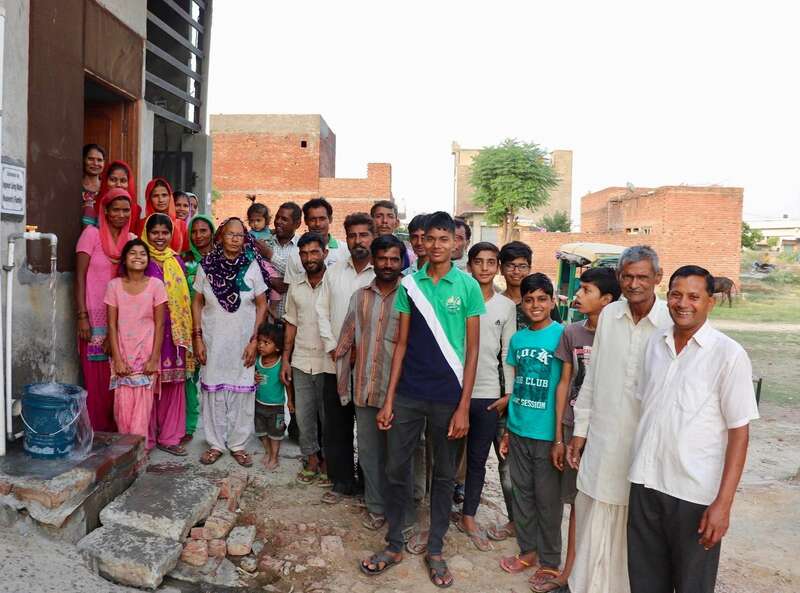 Sohail – I and my wife became Christians recently and we attend this village church regularly. Our people opposed us and accused us for changing the family beliefs and rituals. Both of our families opposed us. Interestingly our people started speak with us now because of this bore well is just by our house. We got a good opportunity now to love them and show them God’s love. More over my son and wife gets fever and skin diseases very often. Because the water I was carrying from other village was not good. Now this bore well solved many of our issues. 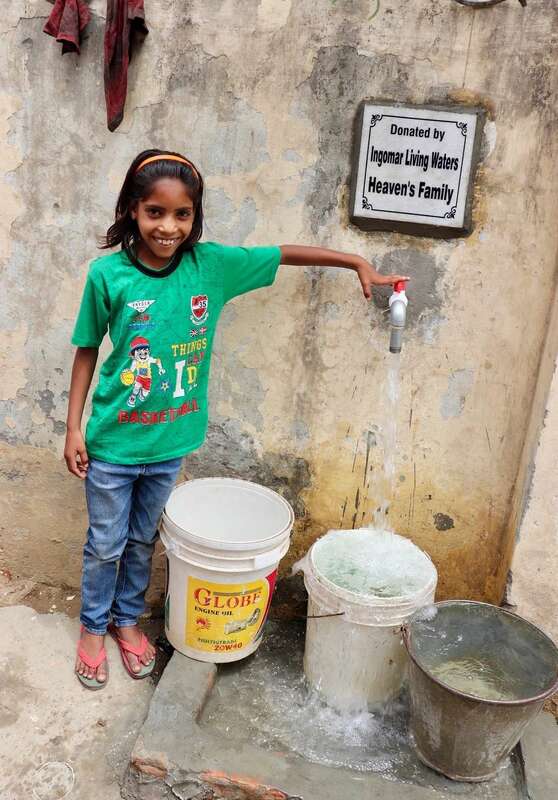 Devika talks about how the well you funded has made an impact on the village leaders. No Hindus or their government helped them. You helped them and have shown them the love of Jesus by this gift. 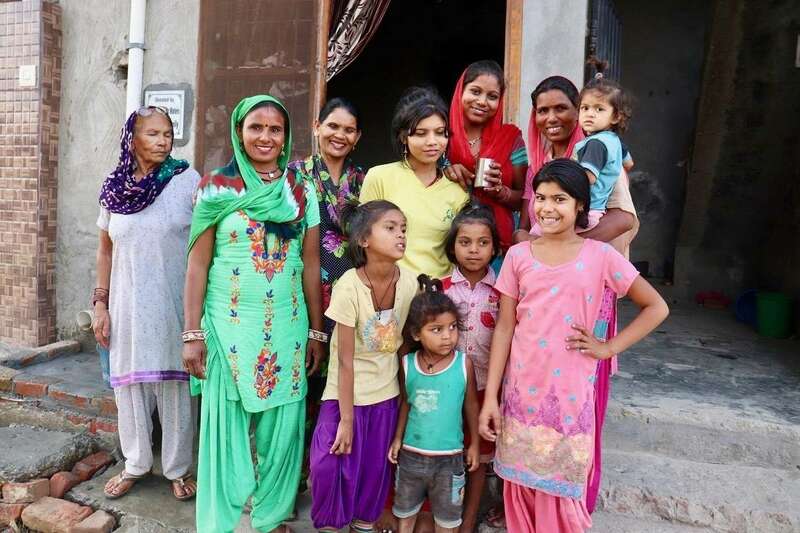 Devika – My husband is one of the village elders in this village. He is sick today. So he sent me to tell you that how much the village leaders appreciate you all for making this well here in this village. We went to all doors for getting a well here but none of them could help us. Now we have sufficient water and this water is so good. 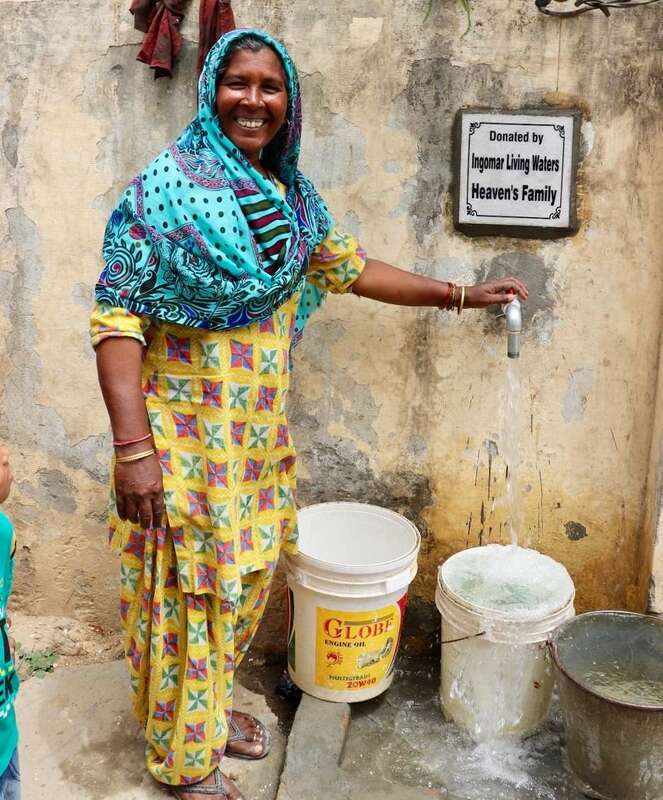 Here is how the new well has helped Rajani who must work to support her family and her husband who is ill.
Rajani – I am so happy today that we have our own bore well here in this village. I work as a house maid. 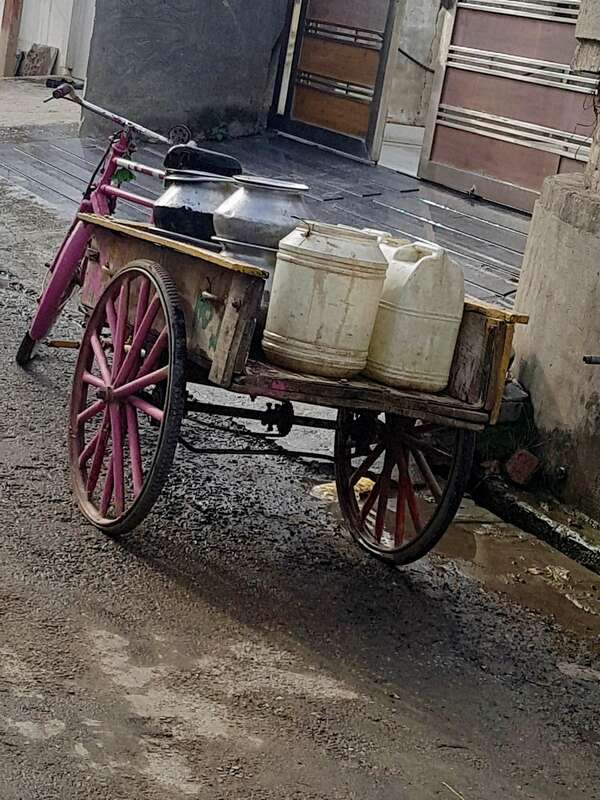 I needed to carry water not only for my house but the houses I am working. Life was very hard on me for all these years. My husband got kidney diseases and not able to work. We do not have enough money for his treatment. The Doctors told me that we need to give bottled water to him. Now I am so glad that we have sufficient water here in this village and this water is so good. This water is better than the bottled water. Thank you so much for helping us. This meant lot for us. The new well is changing the lives of young people in the village. Mia will now not be thirsty when she goes to school. Mia – My name is Mia and I go to the primary school. I am so happy today. I have water now. I can carry this water to my school every day. 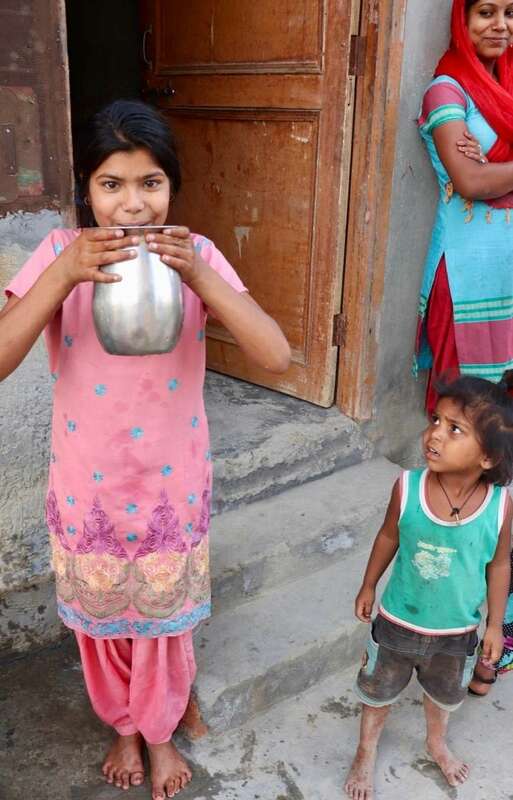 Avni can help her grandparents and not have to walk to the next village for water. Avni – This is the first time I drink this much good water. I am so happy today. I will carry this water every day for my grandpa and grandma. They will be so happy. Thanks for being World Changers! You have made a huge difference in the lives of so many and have shown the world what the love of Jesus looks like! The $3,000 project was made possible through the generosity of three World Changers who wish to remain anonymous.